EZ Leaf Hauler Sport | 0037 | Free Shipping! The EZ Leaf Hauler Sport is a smaller version of our Original EZ Leaf Hauler. 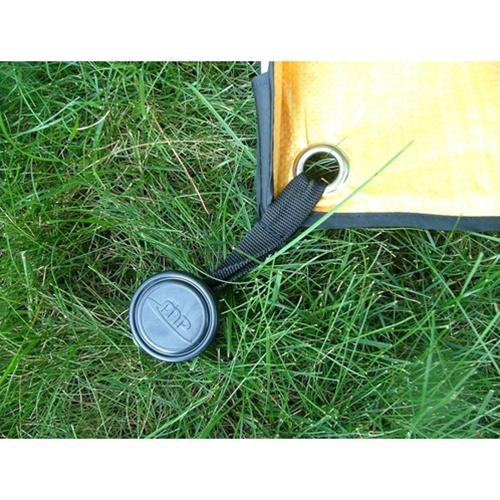 This terrific product is your ultimate lawn cleanup solution! 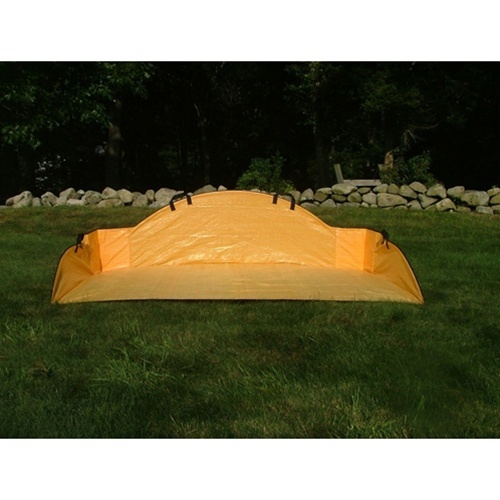 Are you tired of your tarp blowing away while you're trying to trim the bushes? Struggling to get the leaves into your wheelbarrow, only to have them blow out and all over the yard again? The EZ Leaf Hauler Sport is a great solution! The EZ Leaf Hauler Sport comes with two stakes that you can drive into the ground, ensuring that it won't blow away. Plus it has sturdy sides to keep the leaves and lawn debris from blowing away, too. With 24 square feet of surface area, the EZ Leaf Hauler Sport will hold a lot more than your wheelbarrow! 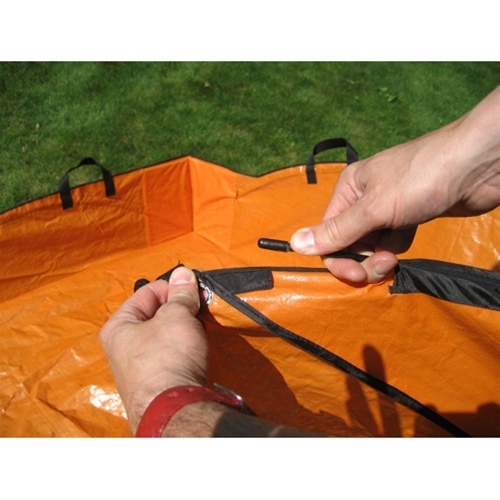 Best of all, it folds up neatly and compactly for storage in your garage or tool shed. 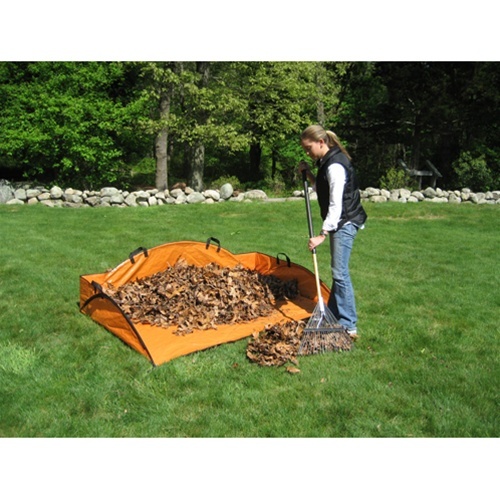 The EZ Leaf Hauler Sport is like a giant dust pan for leaves. 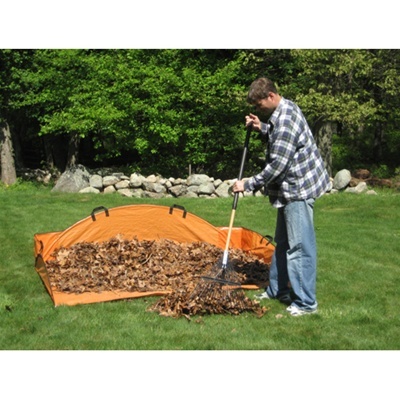 Constructed of durable woven tarp material, the EZ Leaf Hauler is rugged and long lasting. Don't waste your money on a tarp... consider the EZ Leaf Hauler instead! I want to say this is great, Iam a one man show, and it saves your back from constantly bending down. Thank you for offering such a product.